A little over a month ago I started a new job. For the most part, I kept the details under wraps and took a few weeks off the blog to adapt to the new position (which requires a lot of writing and editing). Well, I’m back and excited to give you the tell-all scoop on what’s happening. In early April, I took a rather unconventional route to end up with a job at a startup company called MagnifyMoney. When I say startup, I mean I’m the first hire in the office and there are only three of us, well four when Goofski comes into play. So, what made me leave a safe, steady job to come work with a startup? I was foaming at the mouth to work here because I truly believe this is a way make a difference for the American consumer. 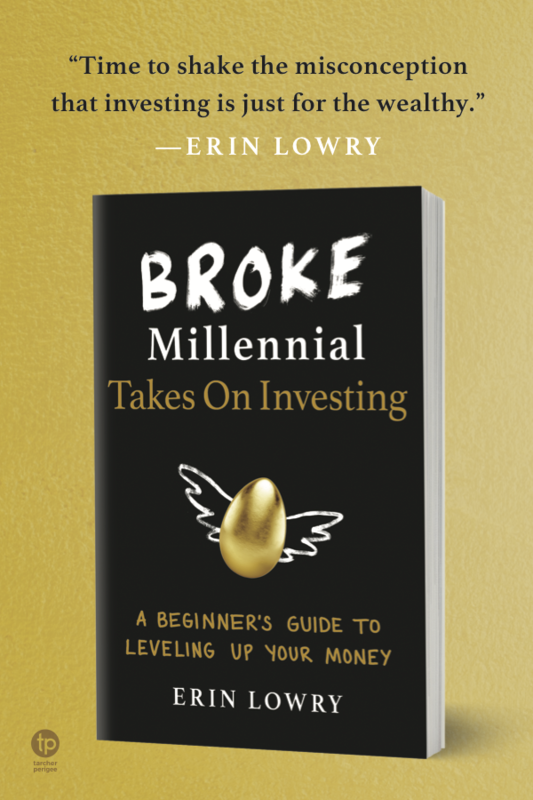 My goal with Broke Millennial is to promote financial literacy and make dealing with money less intimidating (perhaps even fun?!). Suddenly, I saw an opportunity to pursue this hope on a bigger level and with two men who had years of experience in the finance industry. The founders are using their insider knowledge to make complicated financial products easy to understand. The strategy is to help people figure out which products are best for them based on actual value and not by commissions a bank pays us to say X,Y,Z products are the best. Currently, the company isn’t receiving commissions for referrals to products. You can be putting hundreds or thousands of dollars back in your pocket, by switching to the products that best fit your financial situation. Curious how to find them? Take this quiz to see what MagnifyMoney recommends for you. I joined the team as the brand and content manager and spend a lot of my day writing/editing for The Fine Print Blog and gettin’ social. What is it like to work for a startup? I’ve had a lot of people ask questions about what it’s like working for a startup. I have no point of comparison with other startups, but my favorite part is that I’m far more than just a number in a corporation. There is legitimate investment in my career and future. The founders take time to sit down with me to discuss various financial topics and treat me as an equal. Last month, when I published the “Burn Out” post, I had a phone call from one of the founders (who was out of town at the time) within two hours of hitting publish. He wanted to make sure I was doing okay (which I was, just needed to figure out a balance with all my writing obligations). Can’t say that’s a common response in most companies. What does this mean for Broke Millennial? Not much. I’m still keeping this blog and plan to populate it with content on my regular schedule. I promise it won’t be a ton of promotional writing for Magnify either. I was just excited to tell you all about my new job (and I kept getting asked). But, if you can’t get enough Broke Millennial, you’ll be able to get more regular doses of my writing style if you check out the MagnifyMoney blog or interact with us on social media. Oh yeah, and we’re doing videos too! Here is one from MagnifyMoney founders about our mission. 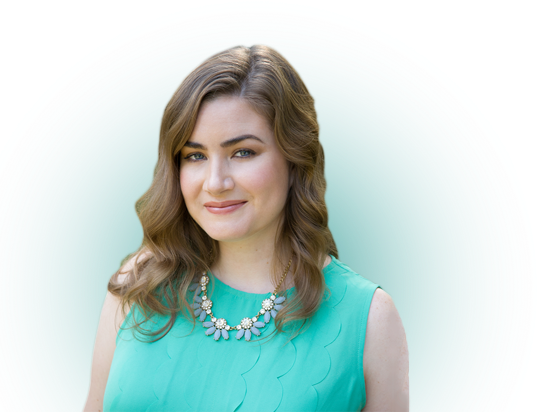 Erin – I am so happy you are a part of the team! (And I know Goofski is as well!). It is great to come to work every day to your knowledge, energy, enthusiasm and sense of determination to save people money! Thanks, Nick! It’s a great team to be a part of. That’s so fantastic that you’re loving your new job and that they’re responsive and treat you as a key part of the team. Writing 24-7 can be a lot, I wasn’t surprised at all when you said you needed to slow down. I have no idea how some people just write and write and write, but I guess I’ve never fancied myself a writer at heart! I do love writing, but when it’s all in the same genre it can be hard to think of a ton of topics that haven’t been beaten to death. I do find the new job is providing me with tons of fodder though! Congrats on the new job! Sounds like an exciting opportunity to work in an area which is right up your alley. Just checked out the site, it seems pretty cool. Thanks, Andrew! Glad you liked the site and I hope it helps save you some money! Congrats! Working for a startup can be a bit daunting. My husband made a similar move 5 years ago and it was well worth the risk. The job has given potential and opportunity he didn’t think possible. Good luck! So glad to hear a success story and that your husband found a lot of opportunity. That was a motivating factor for me to make the jump. As you know, I am SO proud of you Erin! It takes a lot of balls to leave a stable job and pursue an unknown entity, but you trusted your gut and your passion and I know they won’t steer you wrong. Congrats on the website and I can’t wait to hear more about your adventures in the startup, it sounds like it is off to a great start! Thank you, Shannon! And thanks for the advice along the way. That’s great to have the opportunity to work with something so new and fresh, congratulations I hope it goes great! Thanks! I hope it does too. Congrats on the opportunity. Magnify seems like a great company to get involved with! Good luck and keep us posted! It really is a great company and I can’t wait for the site to help people. Congrats! Seems like a great opportunity. Goofski is really awesome, even though he attempts to steal my lunch from time-to-time. Congrats Erin! That is so awesome! I envy people who work at start-ups. I feel like it’s a much more “freeing” place where your voice and ideas are heard (and implemented). I also absolutely love the Q&A with the Goofski. Nice touch of a humor. Thanks, DC! I figure Goofski will be the most loved member of the team. Congrats on the new job! Looks an amazing opportunity and one where you can still keep writing here as well. I definitely want to work for a startup at some point in my career, or run my own business. Keep us updated, I would love to hear more about your experiences. Perhaps run a startup?! Mix both those goals together. I’ll certainly be keeping everyone updated. Congratulations, Erin! Sounds like an amazing opportunity for you and I know you’ll do magnificent. They are very lucky to have you. 🙂 Can’t wait to check out the new site! Thanks, Shannon. I hope you love the site as much as I do. What a great mission and company, Erin! So very happy for you with this new transition, it seems like such a great fit for you. Best wishes! I feel like a bride getting “best wishes” 🙂 I’m really pumped and just can’t wait to see how it does. Congrats on the new career. Just when I thought almost every service available is spoken for, a new one is created. It is awesome that you get to do something that has a greater meaning, and it relates to personal finance as well. Good Luck. It’s such an interesting space, because the angle we’re taking really hasn’t been done before. I just want it to mean big changes for the American consumer. Congrats on the new job, and glad it something that you truly believe in and enjoy! I checked out the Magnify website and it’s pretty nifty that you will also be working with something that will help people save money. I liked the compare tools, as I did not know Fidelity offered card with 2% flat cash back! It would be cool if there was also a way to check out checking “rewards” accounts or deals that would actually make you money in addition to just eliminating fees. Those internet-only banks give close to 1% in interest while traditional banks are doing .01%, so in that sense it’s like getting rewards! Try checking out the earning interest page for better ideas. Hooray for your new opportunity! I think it’s a worthy purpose you guys are pursuing, and the procurement professional in me loves, really and truly loves, the open & transparent competition between suppliers. There is no better thing for a consumer. Best of luck! Thanks!! I hope it pushes for far more transparency. Just have to get the word out there. Did this blog play a big part in getting your name out there to get this position?.. I have been hearing more and more lately about bloggers who use their platform to spin into content management jobs… I think that is so great. Yup, I plan to share the longer version of the story one day but the blog is how they found me. Congrats on the new job! I’m sure it’s a bit scary to leave a stable position but you do have the chance at an incredible journey. Best of luck with it! It was a little scary, but I was in a good position to take the risk. No debt, no spouse, no kids, it’s all me and a good time to step into something slightly unstable. How exciting, congrats Erin! I recently started a new job at a company who is constantly trying to disrupt the financial services industry. Although our company isn’t as small as yours, I still feel like I’ve got a ton of input in our growth. Isn’t it great to feel valued at work? Really makes you want to bring your best self into the office every single day. Wow. Congratulations on your new job. Congrats on your new job. You are obviously awesome. You deserve it!!! SO happy for you, Erin, and so excited for this new and valuable startup!!!! Best of luck; can’t wait to hear more! I’m so excited for it too! I’ll be sure to keep everyone posted. Such a great story! I love this. Congrats on the new job. I looked over the site and it looks promising. Glad to see you have a job you love and it is for a startup. I love startups! So far, I love startups too! Glad you checked out the site and hope you keep playing around. Did you get some equity? Ahh, the equity question. Nope, I didn’t. Doh. Time to negotiate after the initial period. Imagine if they got bought out years down the road and you were the only one at the party without equity? Have the conversation if you think this is a long term gig for you. Congrats on the new job Erin, especially with it being a startup! I’ve just started looking over the site and it looks cool. Sorry about that. You should be able to click unsubscribe on the bottom of one of those emails and it can take you off the service.